Daily Current Affairs (May 24, 2018) like many other sections is inevitable and this also helps to score in the Banking awareness , Static GK and Financial Awareness sections. Remember, Banking Awareness and Static Awareness Questions are asked from the General Awareness section. This will also help you to ride your preparations for the forthcoming exams. D Kumaraswamy, president of Janata Dal (Secular) took the oath as the Karnataka Chief Minister. Governor Vajubhai Vala administered the oath. 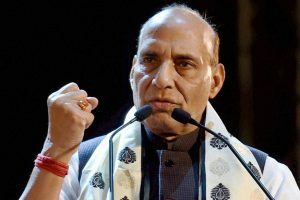 Home Minister Rajnath Singh has announced that the family of a paramilitary jawan who dies in action will be given a minimum compensation of one crore rupees. He said, the families of martyrs should not face any difficulty. 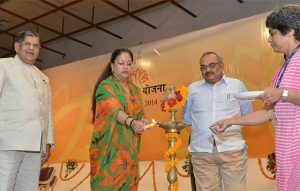 A new software, ‘Nidaan’, has been launched in Rajasthan for presumptive diagnosis and monitoring of seasonal and non-communicable diseases as well as the trends of ailments found in specific areas. It is expected to help in formulation of specific action plans for control of diseases. The Additional Chief Secretary (Medical and Health) Veenu Gupta launched the software by installing it at the Health and Family Welfare Training Centre. “Nidaan” will facilitate online entries of as many as 46 diseases and healthcare services available for their treatment in different institutions. 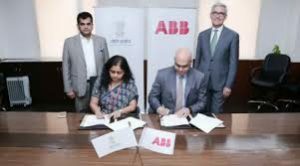 ABB India and Niti Aayog has inked a pact to help the country reap the benefits of latest technologies including robotics and artificial intelligence. The first workshop for senior government officials under this collaboration would be organised in June in Bengaluru. 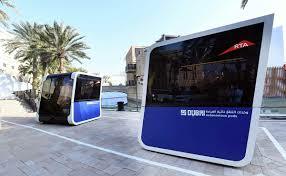 The workshop will focus on digital and automation technologies for this sector. 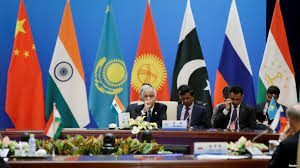 Pakistan will be hosting its first SCO meeting, since the country along with India became a member of the organisation in June 2017. Experts from the eight SCO member states – China, Kazakhstan, India, Kyrgyzstan, Russia, Tajikistan, Uzbekistan and Pakistan – as well as representatives of the SCO-Regional Anti-Terrorist Structure (SCO-RATS) will participate in the three-day meeting. The Shanghai Cooperation Organisation (SCO) is a Eurasian political, economic, and security organisation. 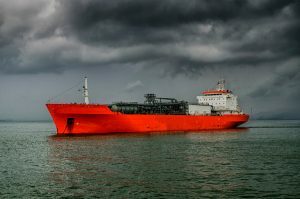 India has received its first crude oil cargo shipment from Abu Dhabi National Oil Company (ADNOC) for its strategic petroleum reserve at Mangalore. 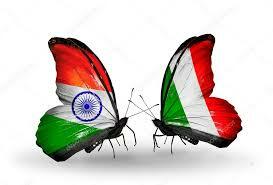 UAE is India’s fifth-largest crude oil supplier. The shipment is part of the agreement under which ADNOC will store 5.86 million barrels of crude oil in the country under India’s Strategic Petroleum Reserve (SPR) programme. The agreement with ADNOC allows India to use the entire available crude oil stored by ADNOC at Mangalore SPR during emergency and also allows ADNOC to sell part of the crude oil to Indian refiners as and when required. Prime Minister Narendra Modi and President Vladimir Putin held their first informal Summit in the city of Sochi in the Russian Federation. The two leaders held in depth discussions on major international issues. They agreed on the importance of building a multipolar world order. They decided to intensify consultation and coordination with each other, including on the Indo-Pacific Region. Both leaders agreed to institute a Strategic Economic Dialogue between NITI Aayog of India and the Ministry of Economic Development of the Russian Federation, to identify greater synergy in trade and investment. 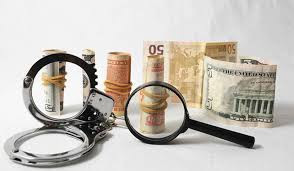 The United Kingdom’s National Crime Agency (NCA) has listed Pakistan among the top three sources for money laundering in the United Kingdom. The other two countries are Nigeria and Russia. The NCA report says that the UK is a prime destination for foreign corrupt and politically exposed people to launder money. Trade misinvoicing is the largest component of illicit financial outflows from developing countries as measured by New York-based Global Financial Integrity (GFI) which tracks such flows. Trade misinvoicing is a method for moving money illicitly across borders which involves the deliberate falsification of the value or volume of an international commercial transaction of goods or services by at least one party to the transaction. 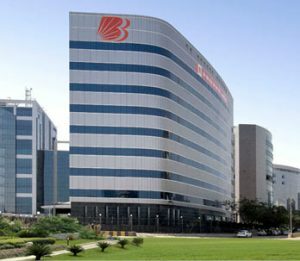 State-owned Bank of Baroda has consolidated all its operational activities at a shared service center (SSC), which employs over 2,000 people, at Gujarat’s GIFT City. Operational services such as retail loan processing, deposit account opening, forex transactions, call center, among others have been migrated to the SSC. It is the first India bank to actually move a lots operations to the smart city. Some other banks have already opened branches and representative offices there. Gujarat International Finance Tec-City is a business district promoted by the Government of Gujarat through a joint venture company. GIFT City is India’s first operational smart city and international financial services centre. 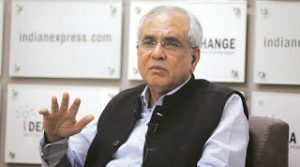 NITI Aayog vice-chairman Rajiv Kumar announced that that Indian economy will achieve 9 percent growth rate on sustained basis by 2022 on the back of reforms like GST, demonetisation and the Insolvency and Bankruptcy Code (IBC). He pointed out that Indian economy averaged 8.3 percent from 2003-11. Previously chief operating officer (COO), Cunningham replaces Tom Farley, who’s leaving the company. 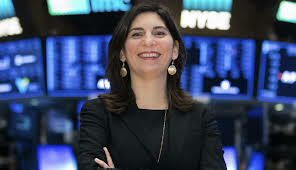 Cunningham became NYSE’s COO in June 2015 and managed the company’s cash equities markets, relationship management, product management, and NYSE governance services. 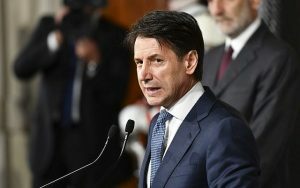 Political novice Giuseppe Conte has been appointed prime minister of Italy after winning the approval of President Sergio Mattarella. The League chief Matteo Salvini would become interior minister while Five Star leader Luigi Di Maio will be in charge of the economic development ministry. Conte was born in the southern region of Puglia and lives in Florence where he teaches civil law at the University of Florence. The State-run power equipment maker BHEL has appointed Pravin L Agrawal as part-time official director on its board. An Indian Forest Service officer, Agrawal is presently joint secretary in the Department of Heavy Industry (DHI), Ministry of Heavy Industries and Public Enterprises. Agrawal is a Commonwealth scholar and holds post-graduate degrees in sustainable development, public policy and management from different global universities. 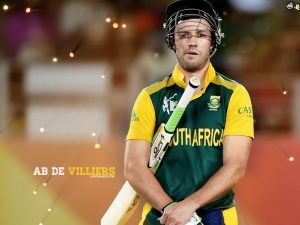 South African superstar AB de Villiers has announced his retirement from international cricket. He announced it four days after his IPL franchise Royal Challengers Bangalore exited the 11th season of the lucrative Twenty20 league. IOS will now manage their endorsements, appearances, brand profiling, patents, licensing and digital rights, images, and visibility on social networking sites. 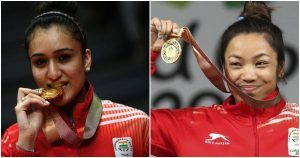 With this deal, Batra and Chanu join the likes of boxers MC Mary Kom and Vijender Singh on the IOS roster. Iraq is to host a West Asia Football Federation championship in the southern city of Basra in November, the first international tournament to be staged in the country since the 1990s. Iraq has not played competitive internationals on home turf since its 1990 invasion of Kuwait. 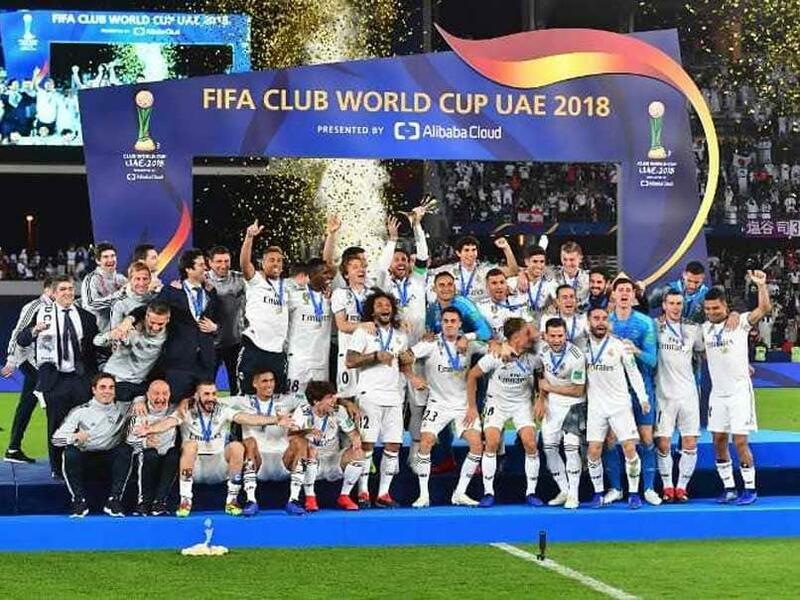 Iraqi authorities hailed WAFF’s invitation to host the tournament, following the decision in March of world football’s governing body Fifa to lift a three-decade ban on Iraq hosting international football.